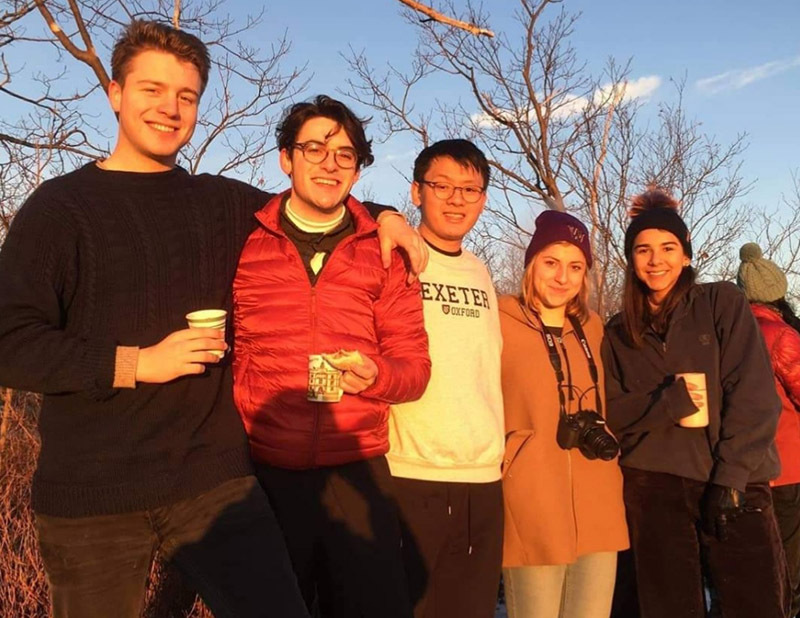 Safia Harji (2017, English) reports on a trip of a lifetime that she and five other Exeter students made in January to take part in the winter study programme of Williams College, Massachusetts, the number one ranked liberal arts college in the USA. We arrived in Massachusetts armed with full body thermals and long puffer coats; yet while the weather was surprisingly mild, our experience at Williams College was unlike anything we had imagined. Exeter College’s exchange programme with Williams involves a 10-day trip for a small group of Exeter undergraduates to take part in the Williams College Winter Study Course in January. I took a class in American History, and when I applied for the course, I had no idea of the extent of rare documents and manuscripts held in Williams College’s Chapin Library and Archives. In our classes, we discussed key moments in American history, whilst referring to the letters of George Washington and looking at original printings of the Declaration of Independence. Having grown up in Virginia at a time when so-called “Jim Crow laws” still enforced racial segregation, Charles Dew, Ephraim Williams Professor of American History, was the perfect guide to talk us through the archives of documents, and we gained a unique insight into the world of the 19th century slave trade – a process that was as moving as it was fascinating. Williams College is secluded to say the least; Williamstown itself contains little more than the college, a few restaurants, and a coffee shop, where we spent a lot of our time. A highlight was the traditional American cinema with fresh buttered popcorn included with every ticket. 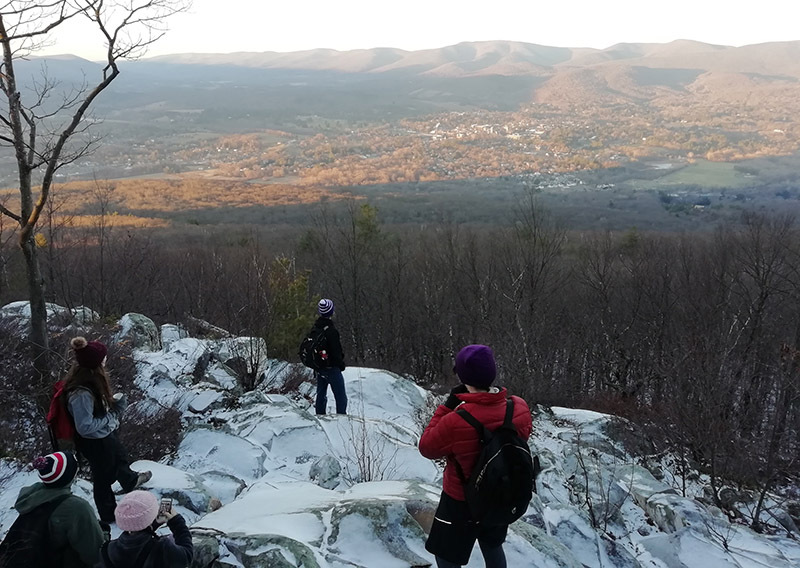 To make the most of the time difference, we spent our first morning on a 6 am sunrise hike up one of many mountains that surround the college, and the fresh air and panoramic views of the city covered in snow really captured the experience of Williamstown. However, the best part of our trip was simply experiencing American college culture – seeing what people our age do to blow off steam and have a good time. Pub quizzes and house parties allowed us to see what life at Williams is really like, and we all made great friends with ease. Though some of us were hesitant about the isolation of the college, we were welcomed into the close-knit community of students; we all admired the sense of camaraderie, and felt privileged to have a glimpse of what it is really like to study at a liberal arts college. We are so grateful to Williams College for having us, as well as Dr Natasha Simonova, Exeter College’s Gwyneth Emily Rankin Official Fellow and Lecturer in English, for overseeing the trip, and we all hope that this won’t be our last visit.